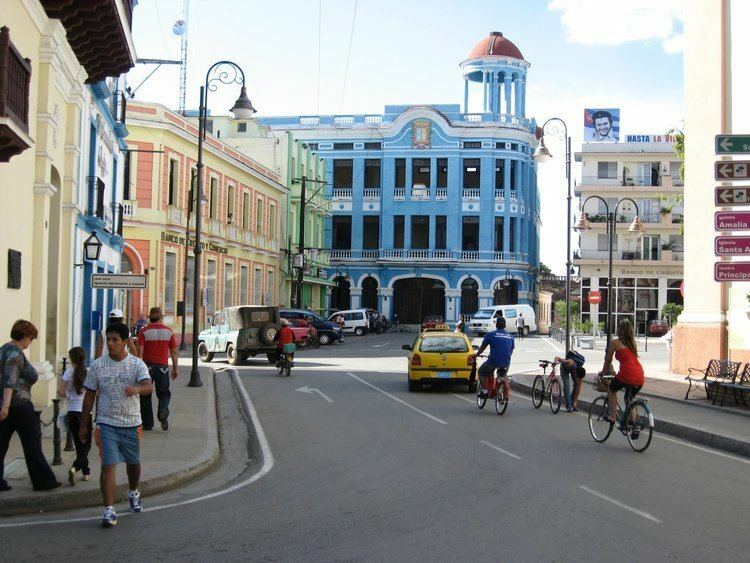 Camagüey ([kamaˈɣwej]) is a city and municipality in central Cuba and is the nation's third largest city with more than 321,000 inhabitants. 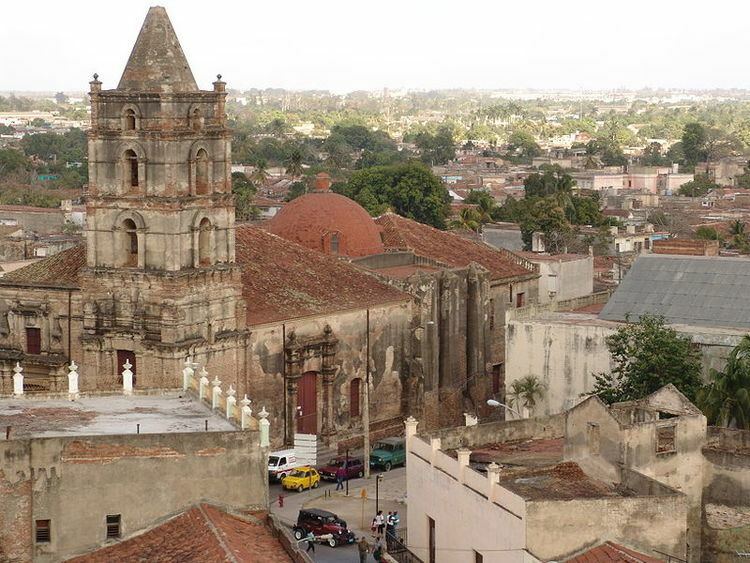 It is the capital of the Camagüey Province. The symbol of the city of Camagüey is the clay pot or tinajón, used to capture rain water to be used later, keeping it fresh. Clay pots are everywhere, some as small as a hand, some large enough for two people to stand up in, either as monuments or for real use. Local legend has it that if you drink water from a girl's personal tinajón, you will fall in love with the girl and never leave her. The main secondary education institutions are the University of Camagüey and the Instituto Pedagógico de Camagüey. In 2004, the municipality of Camagüey had a population of 324,921. With a total area of 1,106 km2 (427 sq mi), it has a population density of 293.8/km2 (761/sq mi). Camagüey has its own international airport, Ignacio Agramonte International Airport. Most tourists going to or leaving the Beach of Santa Lucía do so through the airport. 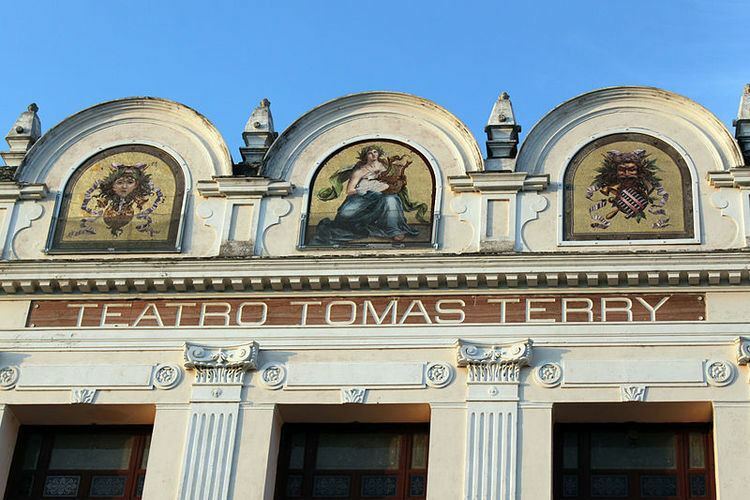 Although it is not the only high school in the City, the Pre-Universitario, sometimes referred to as "Vocational School" but formally known as "Instituto Pre-Universitario Vocacional de Ciencias Exactas" (IPVCE) Máximo Gómez Báez es:Instituto Preuniversitario Vocacional de Ciencias Exactas - or, in English, Vocational Pre-University Institute of Exact Sciences Máximo Gómez Báez- is the largest of its kind in the province of Camagüey. The size of the institution qualifies it as a "learning city". This center is homologous to others existing in the rest of the country's provinces. Students usually form close bonds and lasting friendships while at the institution, but family bonds sometimes suffer and "traditional" moral attitudes tend to shift as teenagers spend weeks away from their family. To be admitted into the IPVCE, students must take an entrance exam after completing the preparation of the Basic Secondary Education (7th to 9th grade). During the following 3 years they receive intensive preparation in order to gain acceptance to College. 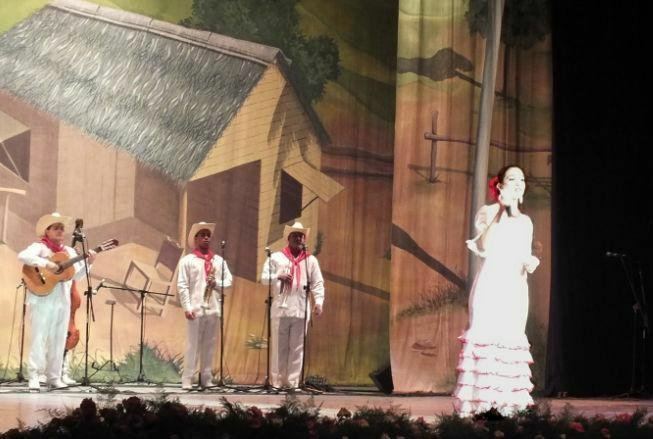 In Camagüey City, there are other high schools, as well as schools for athletes (ESPA, and EIDE), for artists ( The School of Art ), and the Military High School "Camilo Cienfuegos" ( also known as "Camilitos", in honor of Camilo Cienfuegos, hero of the Cuban Revolution ). 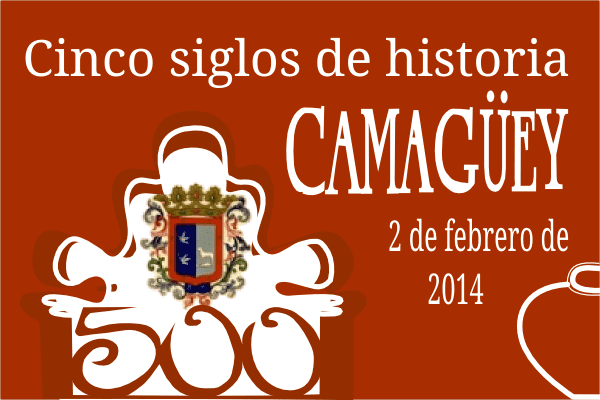 The University of Camagüey, is located in the city, with engineering and basic and humanitarian sciences programs. There are separate university colleges for Medical education (Carlos J Finlay University of Medical Science) and Pedagogical Science. According to the Köppen Climate Classification system, Camagüey has a tropical savanna climate, abbreviated "Aw" on climate maps. Camagüey counts an important railway station on the main Havana-Santiago line with connections to minor lines. The station lies in the central "Avenida Van Horne", at the corner with "Avenida Finlay". The city is crossed by the Carretera Central highway and counts a beltway. The A1 motorway, that will link Havana to Guantánamo, and partly built, is in project phase in the city area. The "Ignacio Agramonte International Airport" is located in the north-eastern suburb. The local baseball club is Camagüey, nicknamed Alfareros, and its home ground is the Cándido González Stadium. The association football club is the FC Camagüey and its home ground is the Patricio Lumumba Stadium. Camagüey is the birthplace of Ignacio Agramonte (1841), an important figure of the Ten Years' War against Spain in 1868–1878. Agramonte drafted the first Cuban Constitution in 1869, and later, as a Major General, formed the fearsome Camagüey cavalry corps that had the Spaniards on the run. He died in combat on May 11, 1873; his body was burned in the city because the Spanish feared the rebels would attack the city to recover his body. The outline of Ignacio Agramonte's horseback statue in the Park that bears his name is a symbol of Camagüey. It was set there in 1911, uncovered by his widow, Amalia Simoni. Artists include José Iraola, a contemporary painter who was born in Camagüey, on September 19, 1961, and sculptor Roberto Estopiñán, born in Camagüey, in 1921. The city is the birthplace of Major League Baseball Hall of Fame member Atanasio Perez Rigal (Tony Pérez), who won two World Series titles with the Cincinnati Reds and was the 1967 All Star Game MVP. The city is also the birthplace of the Cuban national poet Nicolás Guillén; also of Carlos J. Finlay, an outstanding physician and scientist, who first identified the Aedes aegyptis mosquito as the vector of the Yellow Fever. 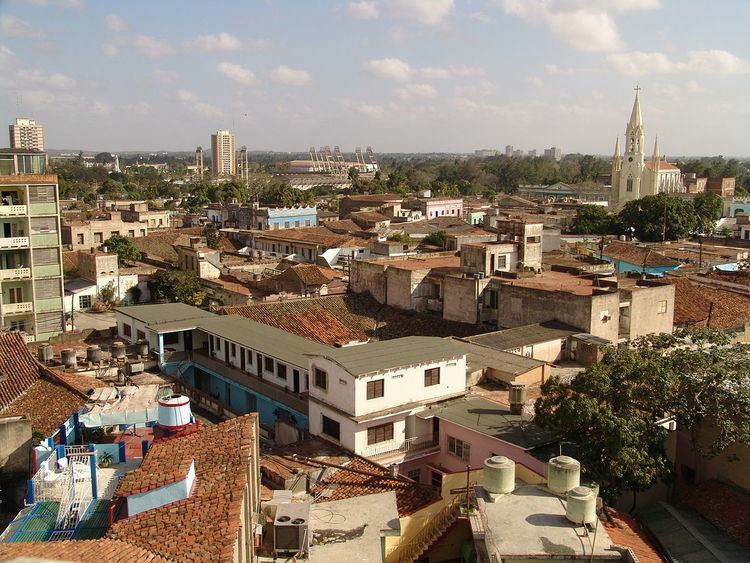 Camagüey is also the hometown of volleyball player Mireya Luis, Gertrudis Gomez de Avellanada (poet), Silvestre de Balboa (1563–1649, writer), Salvador Cisneros Betancourt, Marqués de Santa Lucia (Cuban patriot, signatory of the Guaimaro Constitution of 1869 and President of the Cuban Republic in Arms). Father José Olallo Valdés worked there, and was beatified in the city on November 29, 2008. Olympic champion amateur boxer at 75 kg in Sydney 2000 was Jorge Gutiérrez Espinosa, born 18 September 1975 in Camagüey. Birthplace of the Cuban writer, Severo Sarduy—a member of the European intellectual community that consolidated in the 1960s behind the journal of critical thought, Tel Quel. Sarduy, censored in Cuba throughout the 20th century, lived in Paris as an exile from 1960 until his death in 1993. He holds the position within literary history of having reformulated the transatlantic reconfigurations of the Hispanic Baroque aesthetic under the term "Neobaroque".